Post-9/11 & Post-Mumbai Fire Engineering – What Future ? 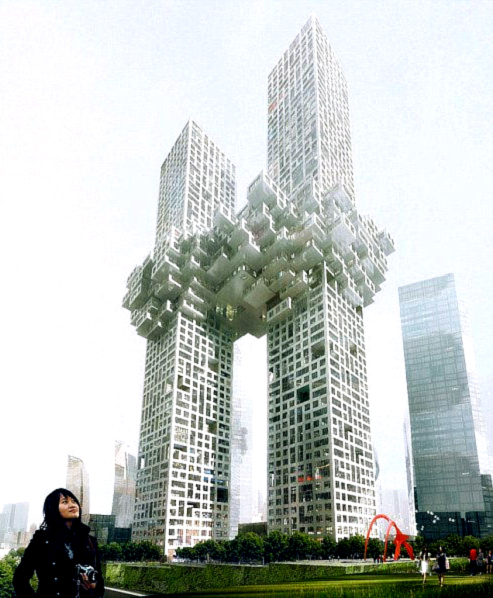 Colour image showing 'The Cloud' Residential Tower Project, in Seoul (South Korea) ... which will be completed in 2015. Design by MVRDV Architects, The Netherlands. Click to enlarge. 2011-12-15: You know what is coming soon … so Merry Christmas & Happy New Year to One and All !! (a) The General Public, and particularly Client Organizations, should be facilitated in directly accessing the core content of the 2005 NIST WTC Recommendations. Up to now, many people have found this to be a daunting task. More importantly, I also wanted to clearly show that implementation of the Recommendations is still proceeding far too slowly … and that today, many significant aspects of these Recommendations remain unimplemented. Furthermore, in the case of some recent key national standards, e.g. British Standard BS 9999, which was published in 2008 … the NIST Recommendations were entirely ignored. As a golden rule … National Building Codes/Regulations and National Standards … cannot, should not, and must not … be applied without informed thought and many questions, on the part of a building designer ! 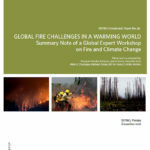 (b) With the benefit of hindsight, and our practical experience in FireOx International … I also wanted to add a necessary 2011 Technical Commentary to the NIST Recommendations … highlighting some of the radical implications, and some of the limitations, of these Recommendations … in the hope of initiating a much-needed and long overdue international discussion on the subject. 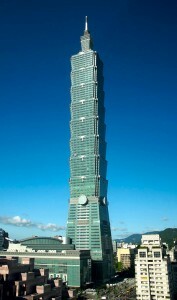 Colour photograph showing the Taipei 101 Tower, in Taiwan ... which was completed in 2004. Designed by C.Y. Lee & Partners Architects/Planners, Taiwan. Click to enlarge. 2. ‘Climate Change’ & ‘Energy Stability’ – Relentless Driving Forces for Sustainable Design ! Not only is Sustainable Fire Engineering inevitable … it must be ! And not at some distant point in the future … but now … yesterday !! 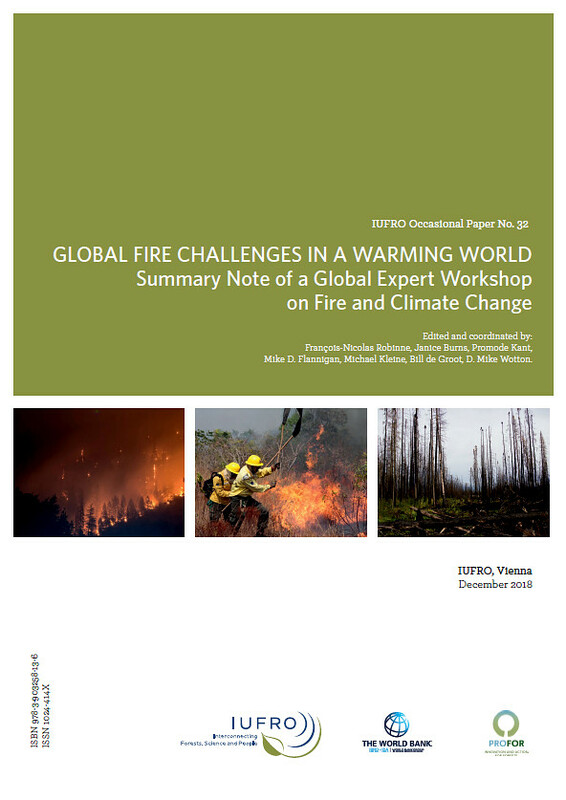 There is such a build-up of pressure on Spatial Planners and Building Designers to respond quickly, creatively, intuitively and appropriately to the relentless driving forces of Climate Change (including climate change mitigation, adaptation, and severe weather resilience) and Energy Stability (including energy efficiency and conservation) … that there is no other option for the International Fire Science and Engineering Community but to adapt. Adapt and evolve … or become irrelevant !! And one more interesting thought to digest … ‘Green’ is not the answer. ‘Green’ looks at only one aspect of Sustainable Human & Social Development … the Environment. This is a blinkered, short-sighted, simplistic and ill-conceived approach to realizing the complex goal of a Safe and Sustainable Built Environment. ‘Green’ is ‘Sustainability’ for innocent children !! 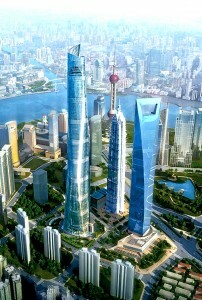 Colour image showing the Shanghai Tower Project, in China ... which will be completed in 2014. Design by Gensler Architects & Planners, USA. Click to enlarge. The latest analysis of observations from the WMO Global Atmosphere Watch (GAW) Programme shows that the globally averaged mixing ratios of Carbon Dioxide (CO2), Methane (CH4) and Nitrous Oxide (N2O) reached new highs in 2010, with CO2 at 389.0 parts per million (ppm), CH4 at 1808 parts per billion (ppb) and N2O at 323.2 ppb. These values are greater than those in pre-industrial times (before 1750) by 39%, 158% and 20%, respectively. Atmospheric increases of CO2 and N2O from 2009 to 2010 are consistent with recent years, but they are higher than both those observed from 2008 to 2009 and those averaged over the past 10 years. Atmospheric CH4 continues to increase, consistent with the past three years. The U.S. National Oceanic & Atmospheric Administration (NOAA) Annual Greenhouse Gas Index shows that from 1990 to 2010 radiative forcing by long-lived Greenhouse Gases (GHG’s) increased by 29%, with CO2 accounting for nearly 80% of this increase. Radiative forcing of N2O exceeded that of CFC-12, making N2O the third most important long-lived Greenhouse Gas. Colour image showing the One World Trade Center Project, in New York City (USA) ... which will be completed in 2013. Design by Skidmore Owings & Merrill, Architects/Planners, USA. Click to enlarge. … because the function of Building and Fire Codes is to protect Society. Well, that is supposed to be true ! 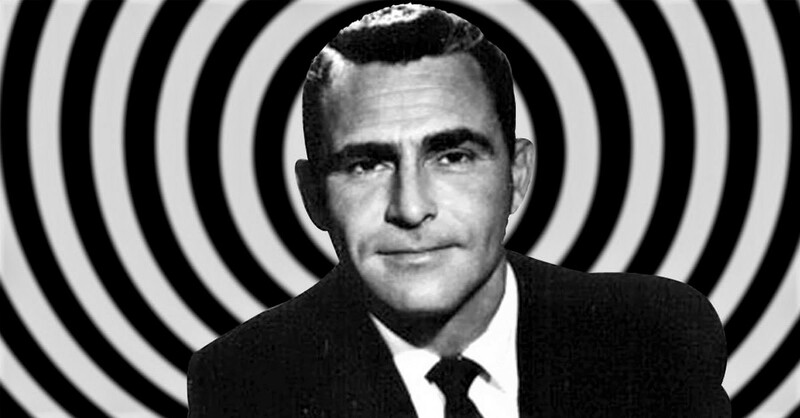 Unfortunately, not all Codes/Regulations are adequate or up-to-date … as we have been observing here in these posts. Toshiba Elevator & Building Systems Corporation (TELC), Japan. Knowing that your organization was involved in the Taipei 101 Project … we have been examining your WebSite very carefully. However, some important information was missing from there. For our International Work … we would like to receive technical information on the Use of Elevators for Fire Evacuation in Buildings … which we understand is actually happening in the Taipei Tower, since it was completed in 2004. The Universal Design approach must also be integrated into any New Elevators. 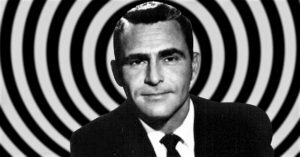 Mr. Thomas Z. Scarangello P.E. – Chairman & CEO, Thornton Tomasetti Structural Engineers, New York. Knowing that your organization was involved in the structural design of the Taipei 101 Tower, which was completed in 2004 … and in the on-going design of many other iconic tall, super-tall and mega-tall buildings around the world … we have been examining your Company Brochures and WebSite very carefully. However, some essential information is missing. As you are certainly aware … implementation of the 2005 & 2008 National Institute of Standards & Technology (NIST) Recommendations on the Collapse of WTC Buildings 1, 2 & 7, in New York, on 11 September 2001 … is still proceeding at a snail’s pace, i.e. very slowly. Today, many significant aspects of NIST’s Recommendations remain unimplemented. For our International Work … we would like to understand how you have responded directly to the NIST Recommendations … and incorporated the necessary additional modifications into your current structural fire engineering designs. Mr. C.Y. Lee & Mr. C.P. Wang, Principal Architects – C.Y. Lee & Partners Architects/Planners, Taiwan. Knowing that your architectural practice designed the Taipei 101 Tower, which was completed in 2004 … and, later, was also involved in the design of other tall and super-tall buildings in Taiwan and China … we have been examining your Company WebSite very carefully. However, some essential information is missing. As you are probably aware … implementation of the 2005 & 2008 U.S. National Institute of Standards & Technology (NIST) Recommendations on the Collapse of WTC Buildings 1, 2 & 7, in New York City, on 11 September 2001 … is still proceeding at a snail’s pace, i.e. very slowly. Today, many significant aspects of NIST’s Recommendations remain unimplemented. For our International Work … we would like to understand how you have responded directly to the NIST Recommendations … and incorporated the necessary additional modifications into your current architectural designs. So … how many Clients, or Client Organizations, are aware that to properly protect their interests … even, a significant part of their interests … it is vitally necessary that Project-Specific Fire Engineering Design Objectives be developed which will have a much wider scope ? The answer is … not many ! How many Architects, Structural Engineers, and Fire Engineers fully explain this to their Clients or Client Organizations ? And how many Clients/Client Organizations either know that they should ask, or have the balls to ask … their Architect, Structural Engineer and Fire Engineer for this explanation … and furthermore, in the case of any High-Rise Building, Iconic Building, or Building having an Important Function or an Innovative Design … ask the same individuals for some solid reassurance that they have responded directly to the 2005 & 2008 NIST WTC Recommendations … and incorporated the necessary additional modifications into your current designs … whatever current Building and Fire Codes/Regulations do or do not say ?? A big dilemma ! A common and very risky dilemma for Building Designers, however, arises in the situation where the Project Developer, i.e. the Client/Client Organization … is the same as the Construction Organization. The Project Design & Construction Team – as a whole – now has very little power or authority if a conflict arises over technical aspects of the design … or over construction costs. An even bigger dilemma !! 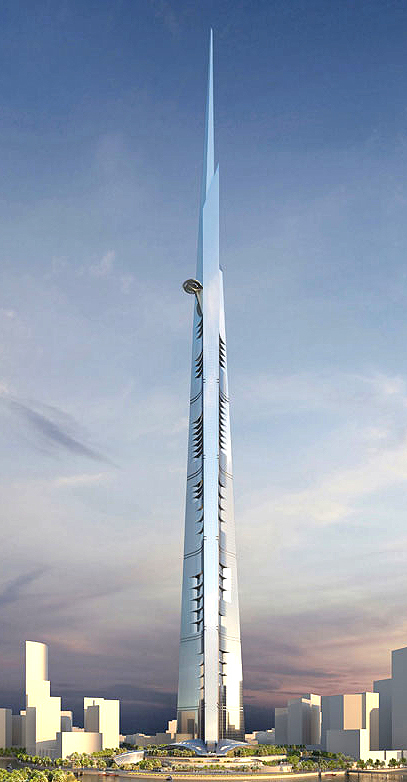 Colour image showing the Kingdom Tower Project, in Jeddah (Saudi Arabia) ... which will be completed in 2018. Design by Adrian Smith & Gordon Gill Architecture, USA. Click to enlarge. 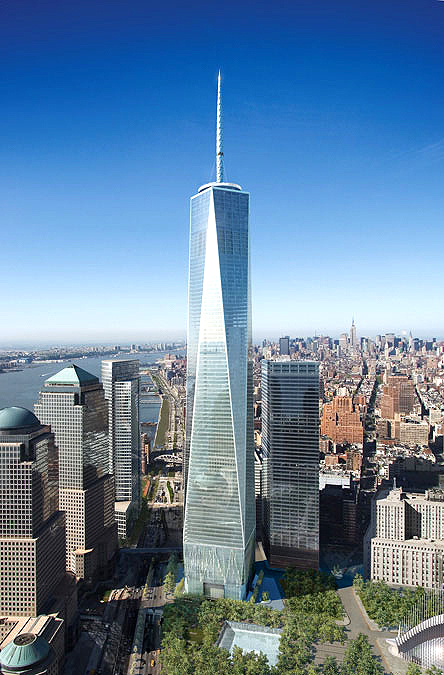 In the new year of 2012 … I will examine the later NIST Recommendations which were a response to the Fire-Induced Progressive Collapse of World Trade Center Building No.7. 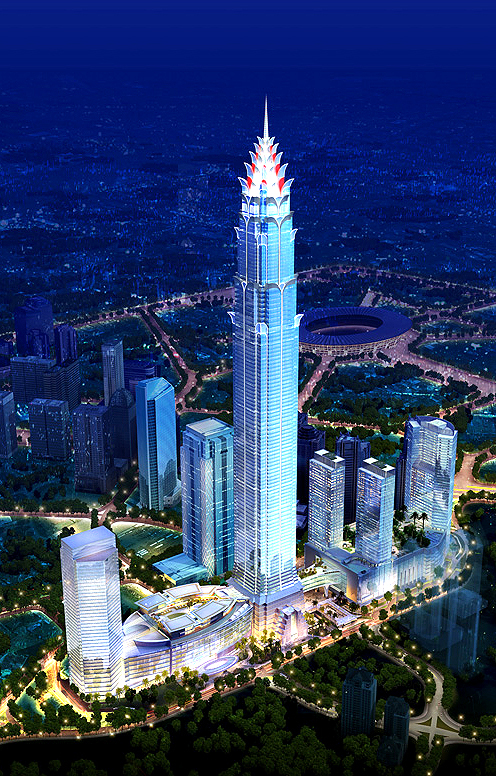 Colour image showing the Signature Tower Project, in Jakarta (Indonesia) ... which will be completed in 2016. 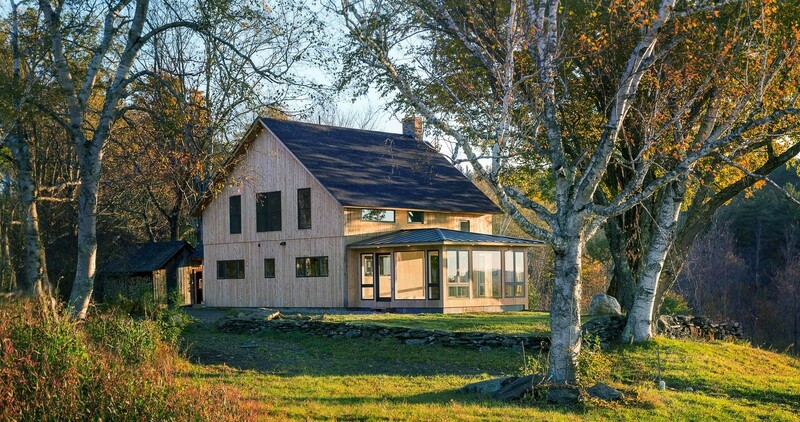 Design by Smallwood Reynolds Stewart Stewart Architects & Planners, USA. Click to enlarge. 5. Please … Your Comments, Views & Opinions ?!? The future of Conventional Fire Engineering ended on the morning of Tuesday, 11 September 2001, in New York City … an engineering discipline constrained by a long heritage deeply embedded in, and manacled to, an outdated and inflexible prescriptive approach to Codes/Regulations and Standards … an approach which is irrational, ignores the ‘real’ needs of the ‘real’ people who use and/or occupy ‘real’ buildings … and, quite frankly, no longer makes any scientific sense !! On the other hand … having confronted the harsh realities of 9/11 and the Mumbai ‘Hive’ Attacks, and digested the 2005 & 2008 NIST WTC Recommendations … Sustainable Fire Engineering … having a robust empirical basis, being ‘person-centred’, and positively promoting creativity … offers the International Fire Science and Engineering Community a confident journey forward into the future … on many diverse routes ! This IS the only appropriate response to the exciting architectural innovations and fire safety challenges of today’s Built Environment. BUT … what do you think ?